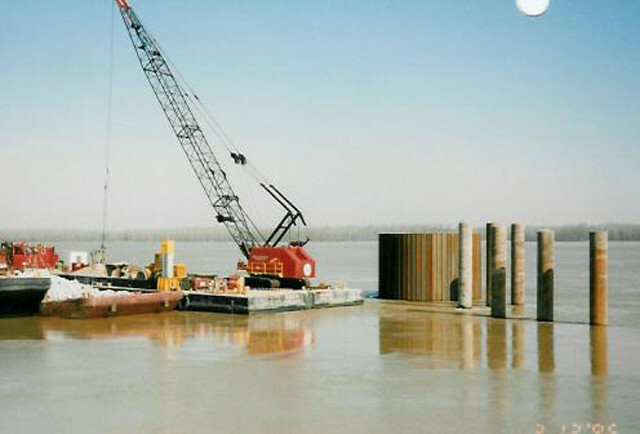 We are experts in precisely and accurately driving steel sheet piling, pipe piling and timber piling. 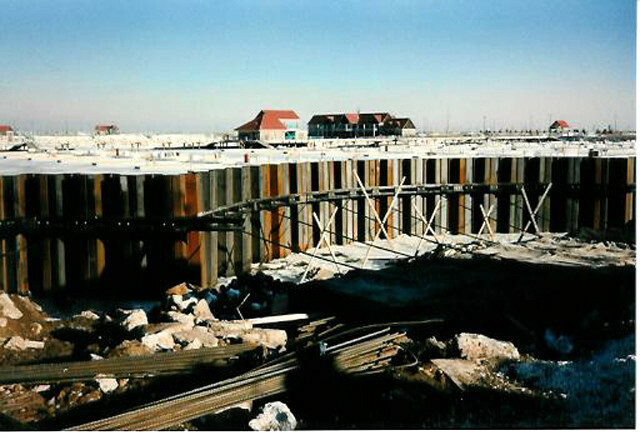 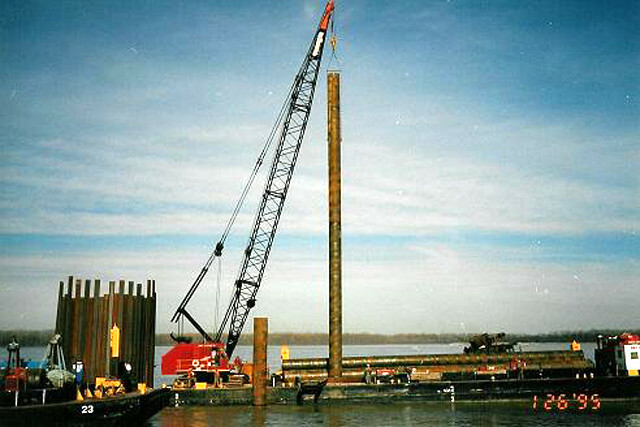 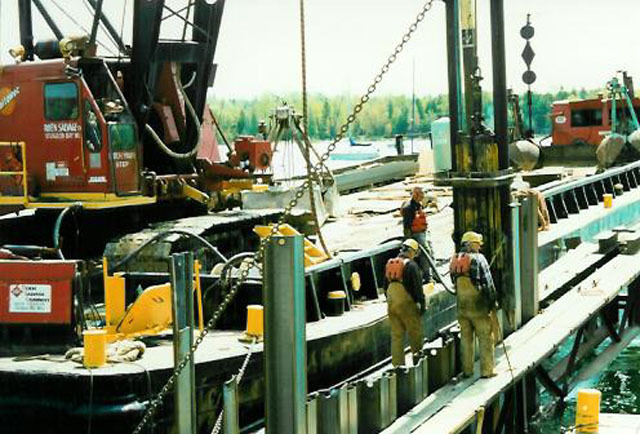 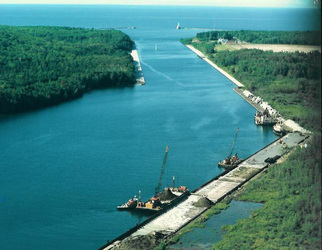 Our award winning efforts in pile driving were recognized nationally by the U.S. Army Corps of Engineers when they named us Civil Works Contractor of the Year in 1998. 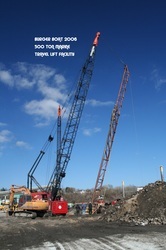 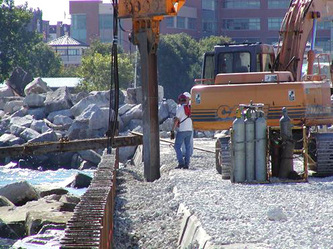 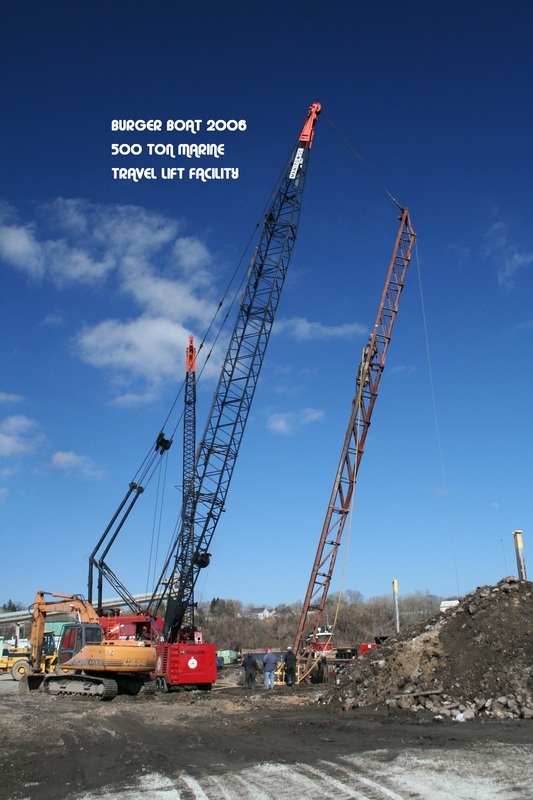 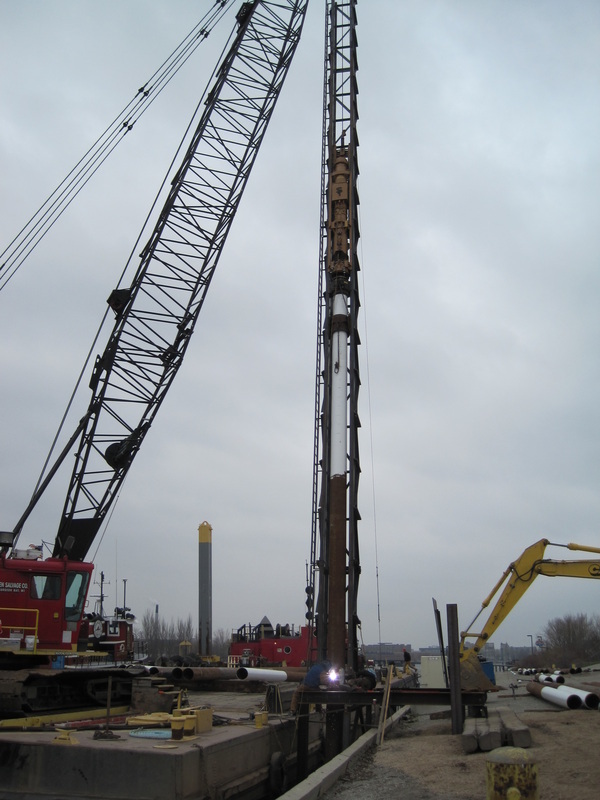 Pile driving is accomplished with impact hammers (air and diesel) and vibratory hammers. 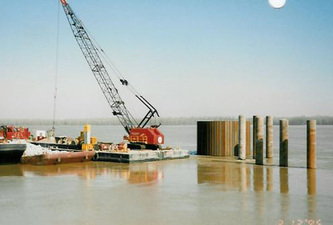 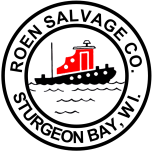 Panels of sheet piles four feet wide or steel pipes up to 48 inches in diameter can easily be driven. 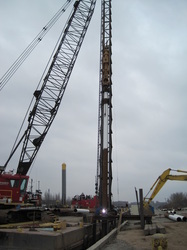 Our seismograph can monitor ground vibrations during pile driving operations.